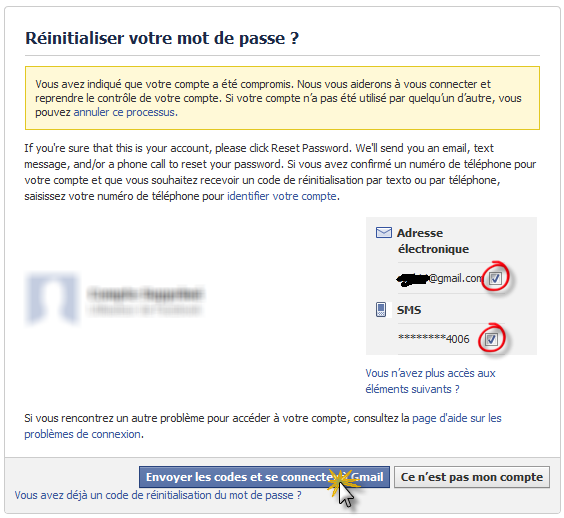 Home » How to recover » pirated Facebook account » How to recover a pirated Facebook account! A Facebook account is represented as an identity, if it is touched by a hacker, this can cause several problems, not only problems with your friends virtually, but rather real problems. Even if the recovery of a Facebook account is fairly easy, it can be virtually impossible if your account has been hacked by changing its email address, and therefore can not recover your password using the classic method. You will discover in this tutorial some methods to recover your Facebook account. Facebook gives you 3 possibilities for the recovery of your account. I will explain each one alone. Check your address and click on "Send codes and connect to ...". A message containing a link will be sent to your mailbox, open it! And your account has been recovered using your email box. 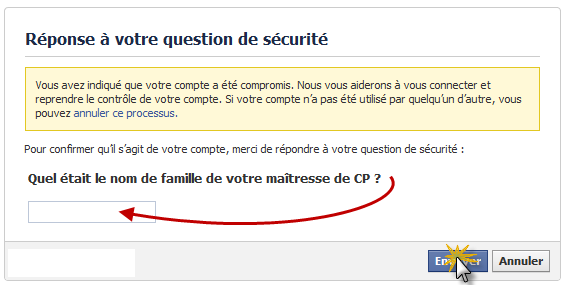 Restore his Facebook without email, using the secret question. 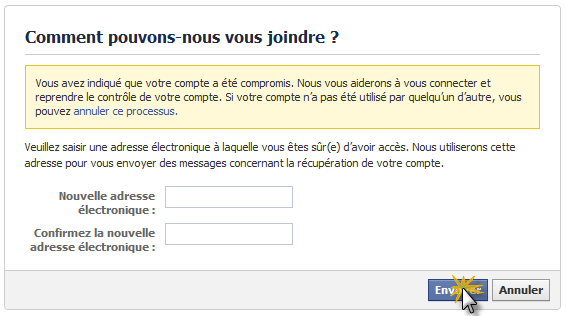 To do this, go to: http://www.facebook.com/hacked/ Click on "My account has been hacked". Click "You no longer have access to the following items? ". 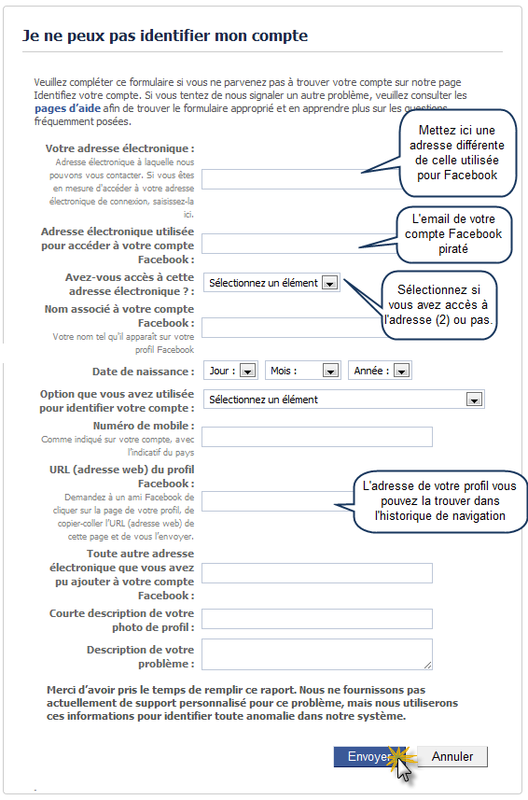 Put an email address functional (not that of the Facebook), or click on «Send». If you have not set a secret question, you can manually restore your account! 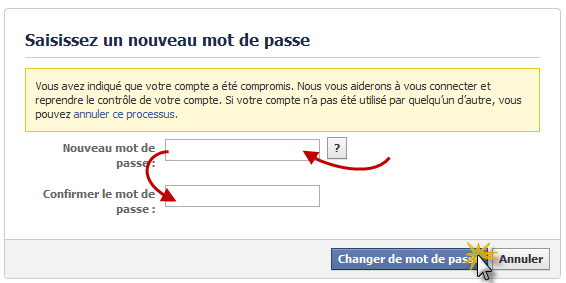 The third method is to manually ask Facebook to restore your account. To do this, open this link: https://www.facebook.com/help/contact.php?show_form=cannot_identify&flow=pw_reset And fill in the data, as in the image below. There you go ! 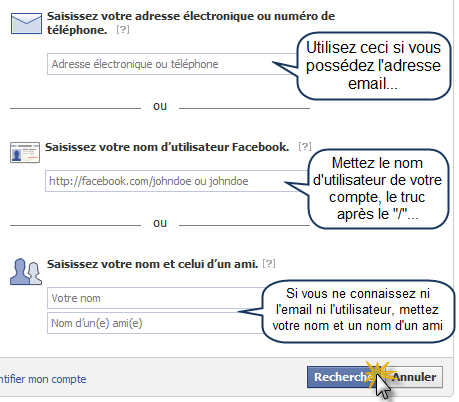 If this little tutorial helped you to recover your Facebook account, do not hesitate to share it. Otherwise you can ask for help using the comments below! 0 Response to "How to recover a pirated Facebook account!"